It’s here! 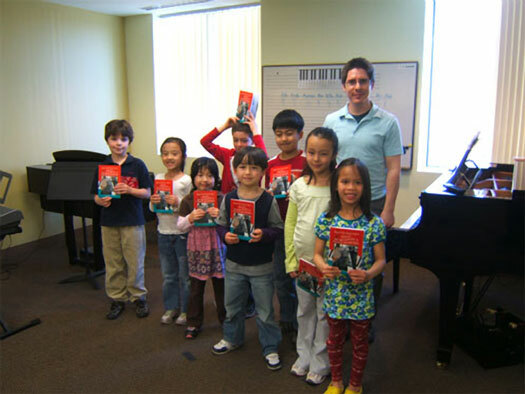 The book that the Yamaha Music School has distributed to new students is available now from Amazon.com. Following in the wake of The Tao of Nora 2010 Calendar, the new book features sage (and serious) advice on things like picking an instrument, developing your ear, practicing, patience, and more. And it has some pretty cool photos taken by mixed media artist Burnell Yow! – who just happens to be one of Nora’s personal assistants. Click to order from Amazon.com. $9.95 Trade paperback, 5.25″ x 8″, 40 pages. A book for toddlers of all ages. Dubbed “The Piano Cat” by one of her biggest fans, Billy “The Piano Man” Joel, Nora continues to delight young and old alike. The videos of this amazing feline have been viewed millions of times online, and she has been featured in the world-wide media, including Animal Planet, the BBC, the Fuji Network, CNN, Martha Stewart, The Ellen Degeneres Show, and many others, as well as magazines and newspapers from New Zealand to Finland to the United Arab Emirates. She may only have two paws, but that simple two-note chord has been heard around the world. 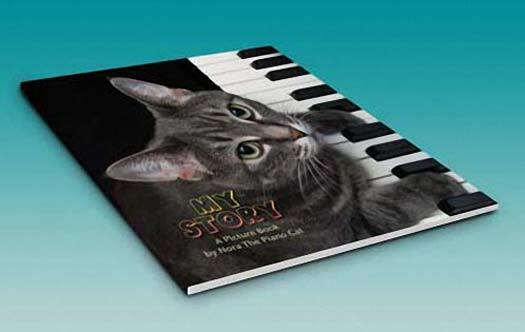 Whether you have been reading for eighty years, are learning to read, or still being read to, My Story by Nora The Piano Cat™ will bring a smile to your face and a chuckle to your heart. $9.95 Paperback, 8.2 x 8 inches, 56 pages.